Sumba is one of the most exotic travel destinations in Indonesia. There are many places to visit and various foods to try. Travelling to Sumba means you are not supposed to miss the authentic local dishes. There are authentic, traditional dishes in Sumba you can enjoy when visiting this beautiful place. Besides, the dishes are varied from one region to another. Thus, you have many choices to decide which food you will try first. If you decide to try the dishes based on the region, might as well research first about the most iconic region in Sumba in advance. Manu Pata’u – It is quite hard to pronounce the name but the taste is worth it. This is one of traditional foods you can find in Sumba. This dish is made from a whole chicken marinade with coconut milk. This dish is rather special because it is usually served for guests. The way the hosts serves the food to the guest is also unique. They will let the guests choose one part of the chicken first. Then the guests give it to the host. The rest of the chicken then belongs to the guests. This traditional dish has meaning of mutual respect. 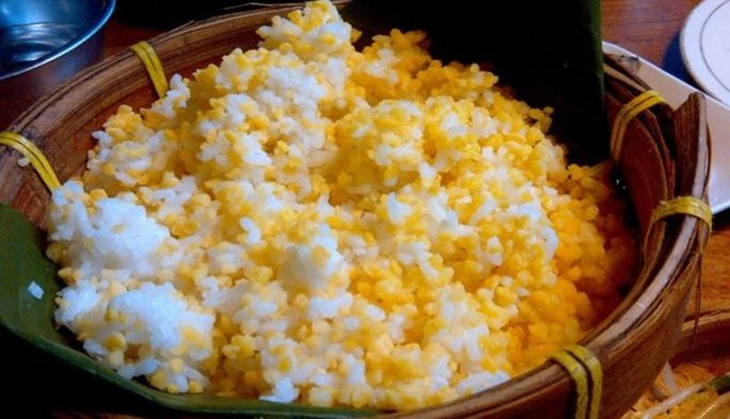 Nga’a Watary Patau Kabbe – this is simple food in a form of a corn rice. This is made from corn and beans like red beans. Instead of plain rice, local people in Sumba often eat this type of rice. They eat it with chicken and vegetables. It is also considered as staple food for people in NTT in general. Ka Pu Pantunnu – this traditional dish is quite unique because it is made from the heart of banana. This middle part of banana tree is burned and mixed with grated coconut which has been roasted before. This is usually served with corn rice, fish, or chicken. This is quite simple food without strong spices included. Thus, it is light to enjoy with other dishes. Bokosawu Nyale – this unique and special food from Sumba is originally a sauce made from sea worms or Nyale. In Sumba, Nyale or sea worms appear once a year. Thus, this dish is special because it is hard to get the sea worms. You can actually eat raw Nyale smeared with lemon. For this dish however, Nyale is mixed with basil leaves. The texture is savory and chewy. It is like eating fresh seafood from the ocean. Previous postHow To Start Scuba Diving Lessons For Beginners?